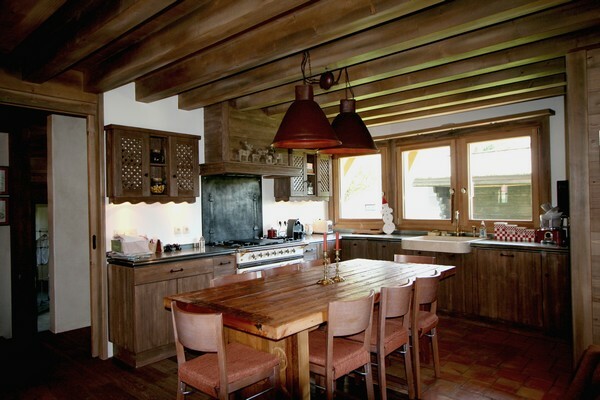 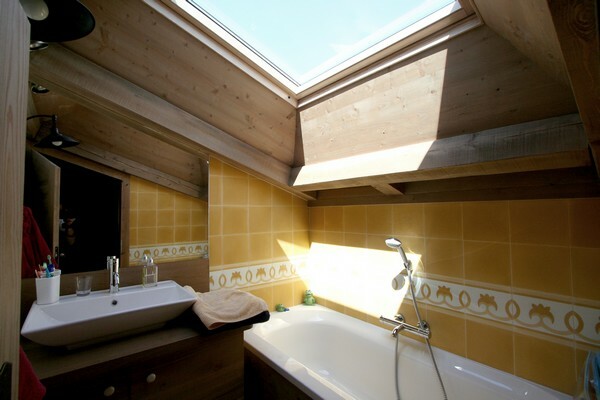 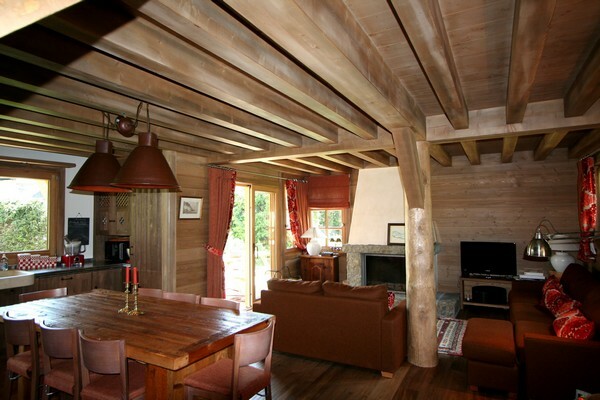 Chalet Therese is a new chalet located in a quiet neighborhood at end of a cul-de-sac, and is literally steps away from the center of Megève. 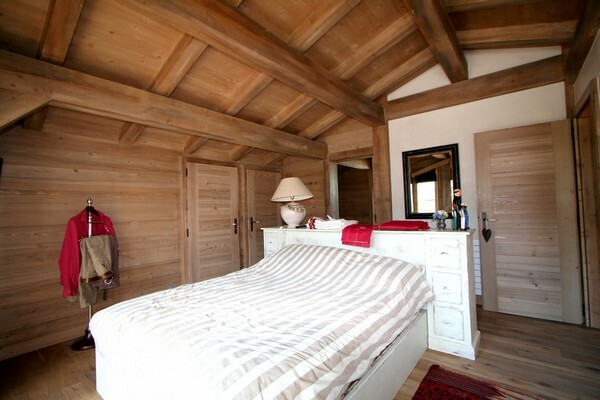 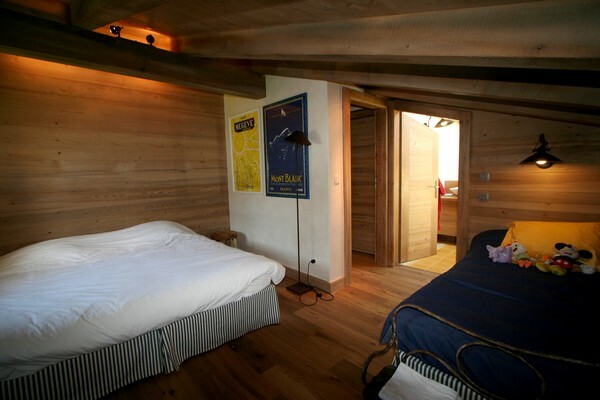 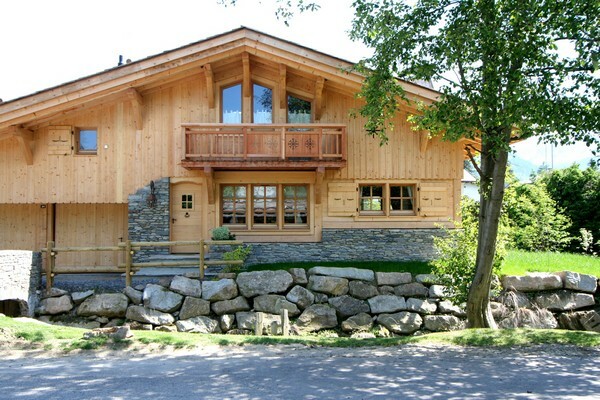 This chalet is mostly available for summer rentals, with only a few weeks available during the winter season. 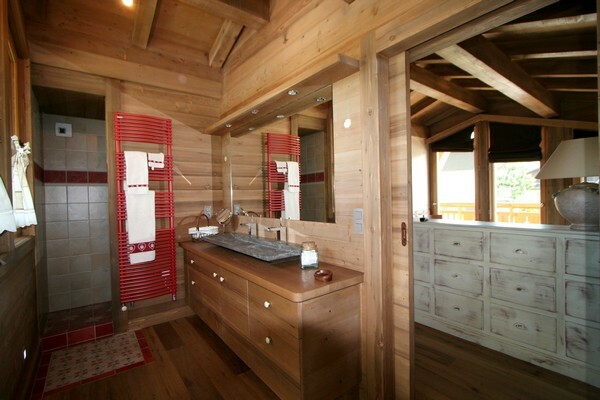 The lovely pinewood chalet is quite traditional in feel and offers a warm, spacious living area. 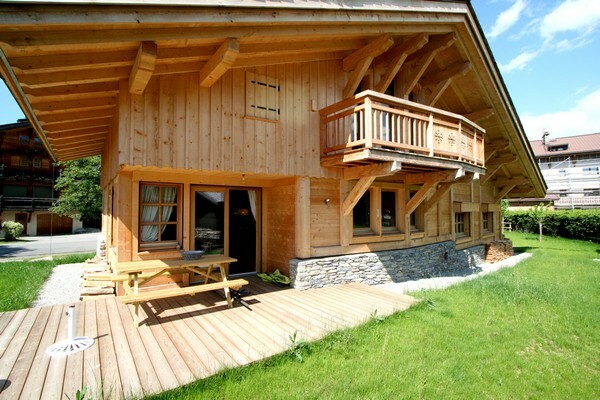 Chalet Therese is perfect for a family holiday in the heart of the resort and all its activities. 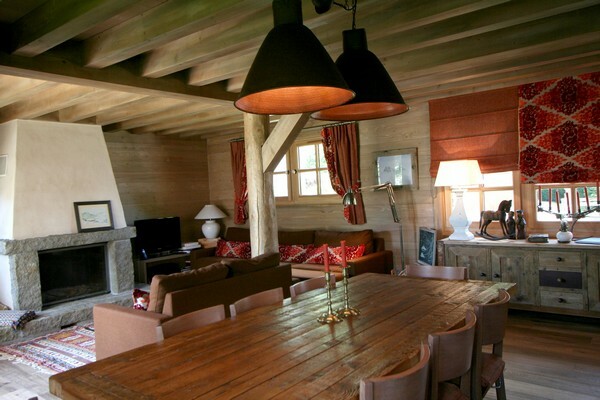 area, and a cellar corner. 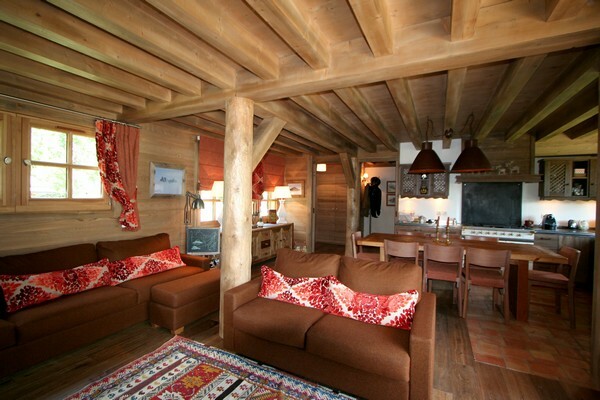 people, a living room with fireplace, terrace south. 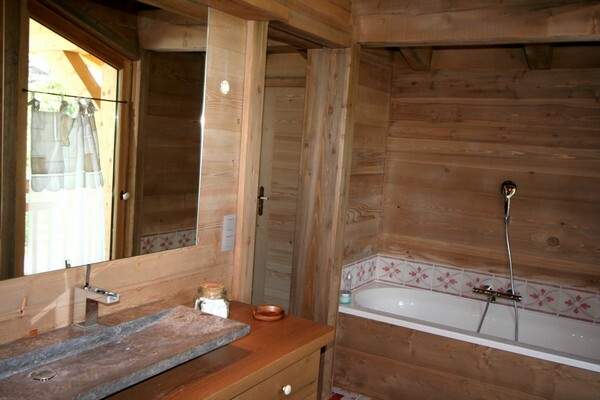 room (extra single bed) with bathroom.